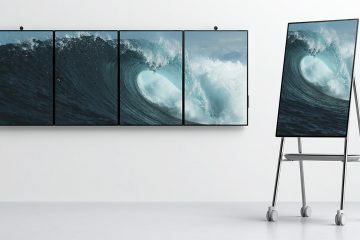 There’s no denying that there’s beauty in nature, although there’s also nothing to say that that beauty cannot be enhanced through the use of technology. 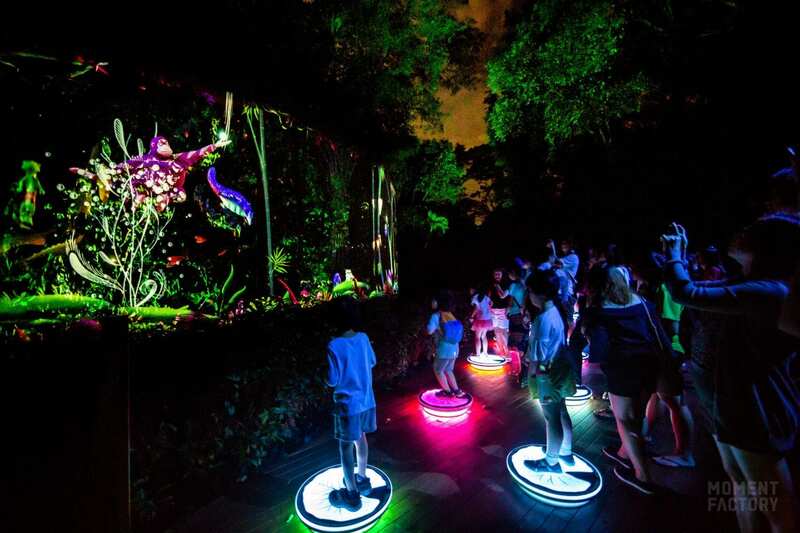 Thanks to new lighting and video mapping tools deployed at the Singapore Zoo, visitors can now stay for longer and enjoy the wonders of nature late into the night. 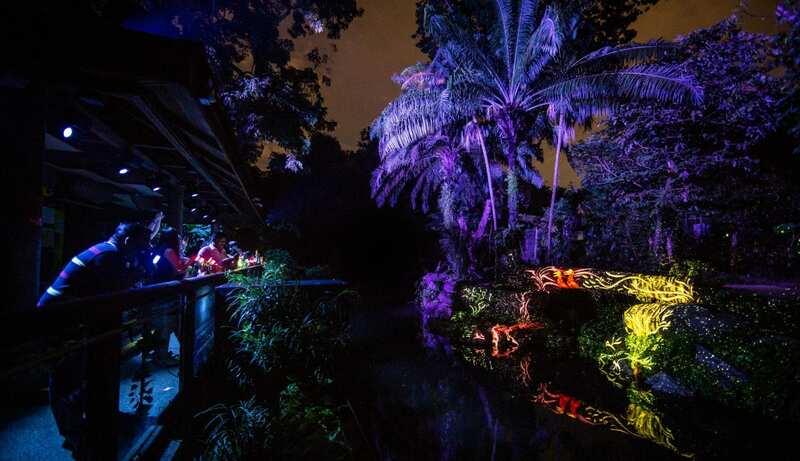 Tempest enclosures have been deployed at the Singapore Zoo to keep high-end projectors safe from the elements. 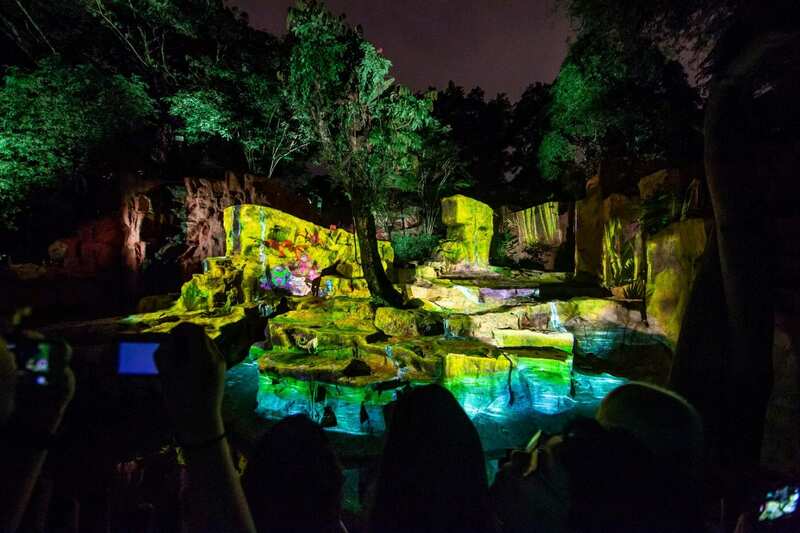 Those projectors power the zoo’s latest nighttime attraction, Rainforest Lumina. Rainforest Lumina offers 1km of lighting and video mapping effects which guests can interact with as they walk through the trail. 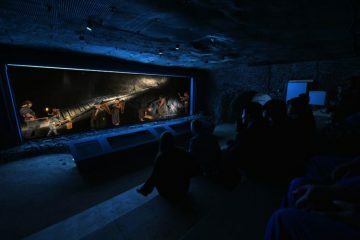 It was conceived and integrated by the Moment Factory, a multimedia entertainment studio, and allows guests to make use of the zoo’s landscape when it would normally be shut. “When night falls in Singapore, the zoo shuts up shop and the people go home, right? Not anymore. This project is a stunning example of how projection mapping can create a powerful impact and open up new opportunities for business,” commented Tim Burnham, Tempest’s president. Moment Factory ensured that the whole project was complementary to the landscape and minimised the disturbance to the zoo’s animal collection and native wildlife. That’s not to say that the aim of this trail is to be silent; in fact, it’s quite the opposite. 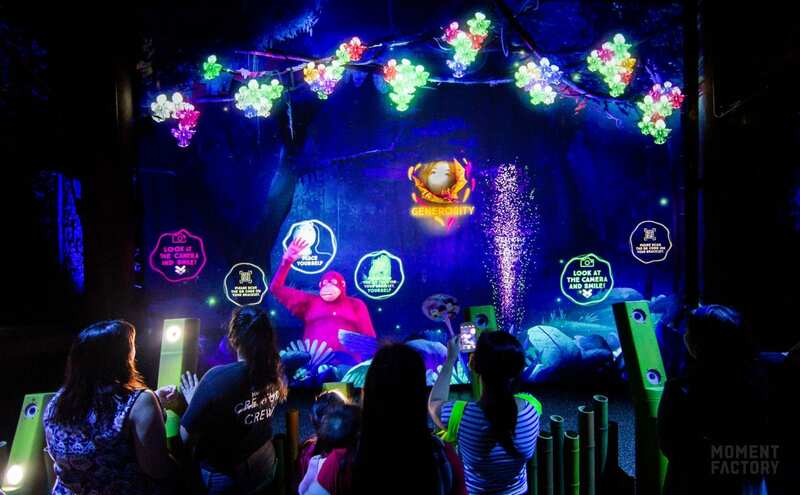 The interactive games encourage the visitors to sing and shout into microphones to cause video effects to magically appear, while jumping up and down onto pressure-sensitive pads will cause different cartoon animals to jump up out of the jungle vegetation in front of them. While it may sound like all fun and games, Moment Factory had some serious challenges to ensure that it could bring the idea to life. 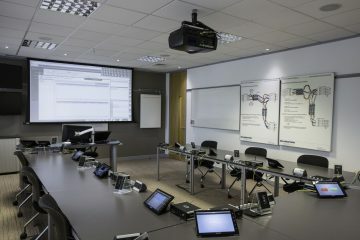 The biggest issue with Singapore is the searing heat and humidity, meaning choosing the right enclosure to protect the projectors was key. 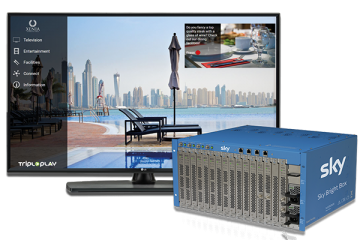 That’s why the Montreal-based firm opted for five Tempest G4 Cyclone 55.210.L.IN and five Blizzard 51.100LS.IN enclosures. Tempest’s Thermal Insulation Kits and Sun Shade Kits were also installed for additional heat protection, while the Positive Pressure option was enabled due to the proximity to the ocean, to prevent salt air ingress. The setting runs the enclosure fans all the time at low power, maintaining just enough positive pressure to prevent salt or other pollutants sneaking in when the projector is not running.